Switzerland's inward investment agency is looking for a consultancy to help it promote the country at the 2012 Olympic Games in London. Presence Switzerland has issued a £100,000 brief for an agency to increase the country's visibility to numerous audiences. The successful agency will also be asked to focus attention on the House of Switzerland, the country's official guesthouse. It opens the house during Olympic events around the world, to act as a focal point for developing interest in Switzerland. Part of the PR activity will be to encourage people to visit the guesthouse, which will be based at London's Glaziers Hall next year. House of Switzerland head of marketing and comms Kieu Duy Tran said: 'We would like to promote Switzerland from different angles - tourism, education, science, economics and politics. Presence Switzerland is seeking an agency with an understanding of nation branding, PR, live events and experience of online comms using new media. The deadline for initial applications is 13 May, and agencies will be called on to pitch on 25 and 27 May. The agency will start work in June and finish in September 2012, after the games have been completed. The key message for the programme is that House of Switzerland offers 'a varied programme of entertainment with a large number of highlights'. Previously, Presence Switzerland used Ogilvy PR to promote the House of Switzerland in Beijing during the 2008 Olympics, and Fleishman-Hillard at the 2010 Winter Olympics in Canada. 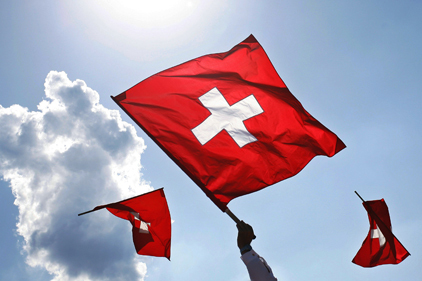 The House of Switzerland will be open from 20 July 2011 to 12 August 2012. As part of the Federal Department of Foreign Affairs, Presence Switzerland is the management body of the House of Switzerland and responsible for implementing the comms campaign in the UK.